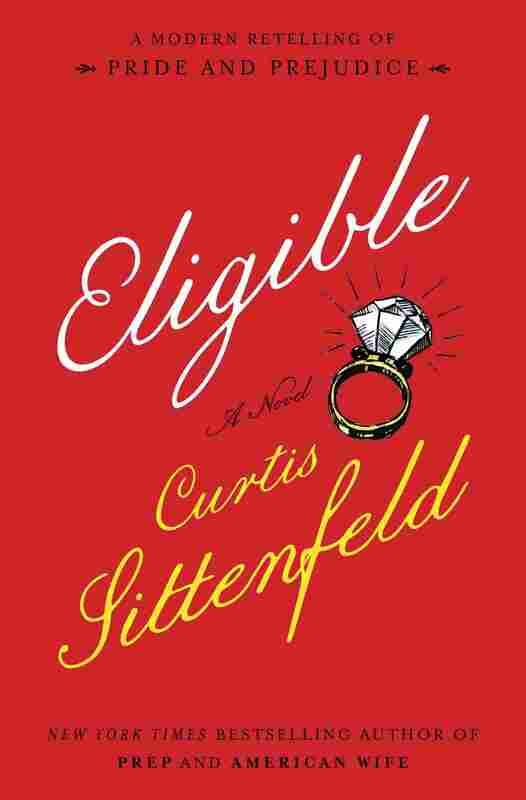 In 'Eligible', Curtis Sittenfeld Imagines A 'Pride And Prejudice' Set In Cincinnati In Eligible, Curtis Sittenfeld's retelling of the classic, Mr. Bingley is a reality TV star and Jane Bennet is a yoga teacher. What If 'Pride And Prejudice' Were Set In Cincinnati? Pride and Prejudice is Jane Austen's most beloved novel, and now it's getting an update. The new book, Curtis Sittenfeld's Eligible, is the result of a match made by The Austen Project, which pairs popular authors with Austen's books. When the project reached out to Sittenfeld about rewriting Pride and Prejudice, she says she felt like she'd won the lottery. "It was irresistible to me," she tells NPR's Rachel Martin. "It just sounded like so much fun." The book opens with New Yorkers Jane and Elizabeth Bennet flying home to Cincinnati to see their parents and younger sisters. Jane is 39 years old, and after carefully considering the issue, she is pursuing having a baby on her own using donor insemination. And her family doesn't know besides her sister Liz. ... And Jane's a yoga instructor in New York. Liz is a magazine writer — she writes for a women's magazine called Mascara. And she is involved with — I know that some listeners might cringe when hearing this — she's involved with a married man, although the married man and his wife have an understanding, so it's not quite as sordid as it seems. So Chip [Bingley] is an ER doctor in Cincinnati. He also was a contestant recently on a major dating reality TV show called Eligible ... a few seasons ago. And that's how everyone in Cincinnati knows that he's recently arrived, because he's a celebrity of a certain sort. And they know he's single because he was on the show. But he also, in addition to having been on a reality TV show, he went to Harvard Medical School so he has a pedigree that Mrs. Bennet is comfortable with. Obviously a woman's financial well-being does not hinge on getting married anymore as it did then; but at the same time there's certainly still social pressure to marry. Especially if you get to the age of, say, 40, people might wonder why. They might think: Are you not married because you don't want to be? Or are you not married because you couldn't meet the right person? Did you want children? There are parallels between the two experiences of writing American Wife and writing Eligible. And I mean, obviously, I took huge creative liberties in both cases, but there was a sort of architecture to the story. Like, there was an architecture to the story of Laura Bush's life — she herself might not see it that way, but that was how I saw it as an outsider. And there was an architecture that Jane Austen had created for Pride and Prejudice. And so, for me, it was this way of definitely borrowing that and using it as inspiration, but also making it my own. Something that I think is fun, and fun for the reader, is in both cases the reader sort of knows what's going to happen but sort of doesn't know what's going to happen. ... There's almost an implicit dialogue between me and the reader where I'm saying, "I know you know this, and you know I know you know, but there still will be surprises." In some ways I'll fulfill your expectations, and in some ways I'll defy them.